No, we haven't had a snowstorm recently! 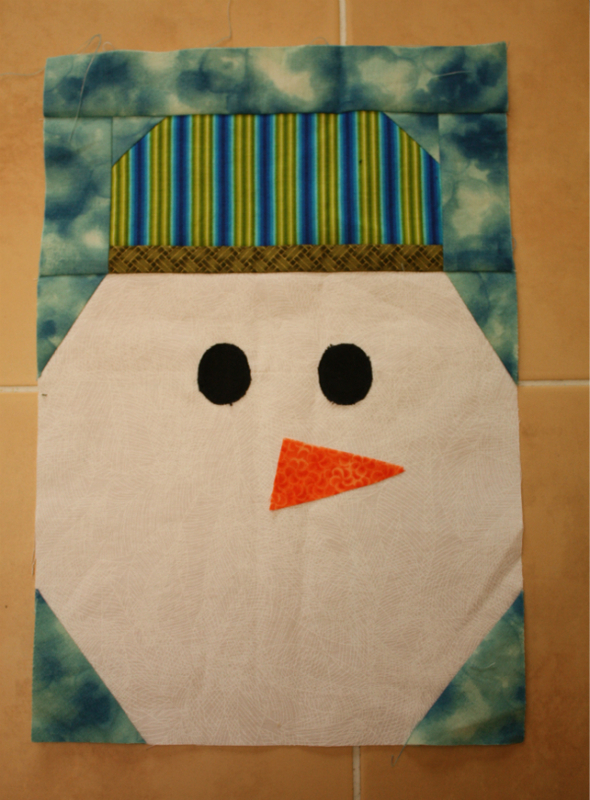 I'm working on a new pattern for a Christmas in July blog hop with Sarah of Confessions of a Fabric Addict, and so I'm making (fabric) snowmen and snowwomen in May. This guy still needs his mouth, which I will embroider by hand. This poor snowwoman looks rather odd without a face, don't you think? Actually, looking at this picture she reminds me of Humpty Dumpty for some reason! Hopefully a carrot nose will change that! It requires some small pieces, but I really love the shape of her hat. I'm making a wall hanging that will finish at 48" x 48" and I'm looking for pattern testers who would be available to test in the later part of June-early July. If you are available then, let me know and I can send you a picture of the design so you can decide if you're interested. 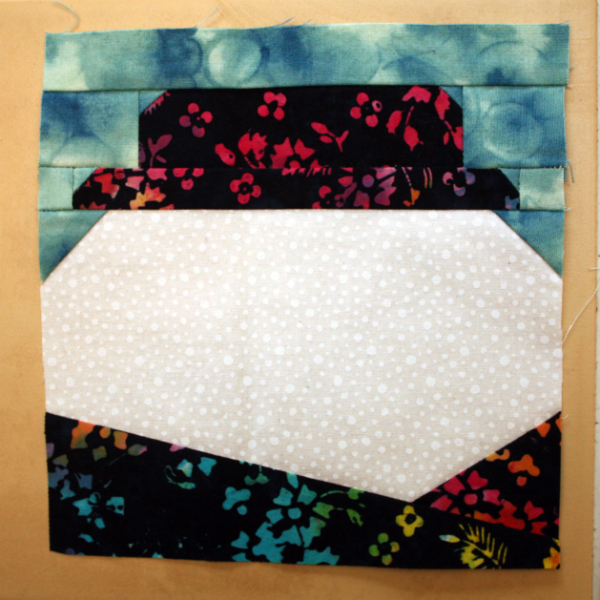 The pattern will be intermediate level and involves mostly machine piecing with some paper-piecing, machine applique and hand embroidery (just backstitching). A little bit of everything! I do see a Humpty Dumpty too, but a dapper one. Wearing a nice had and decorative scarf. I think your carrot nose will help transform him into the snowman we all love. If you need testers, just let me know. My June for the most part is pretty free. A snowman in the 80 to 90 degree weather might just be what I need.